Set up a clothing rack display anywhere! 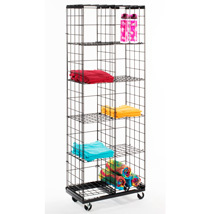 This versatile clothing rack display is compact to fit in any store. Eight adjustable height shelves. Picture shows shelves displayed as ten 12 x 12 inch cubes. Includes casters for mobility. Need more shelves? 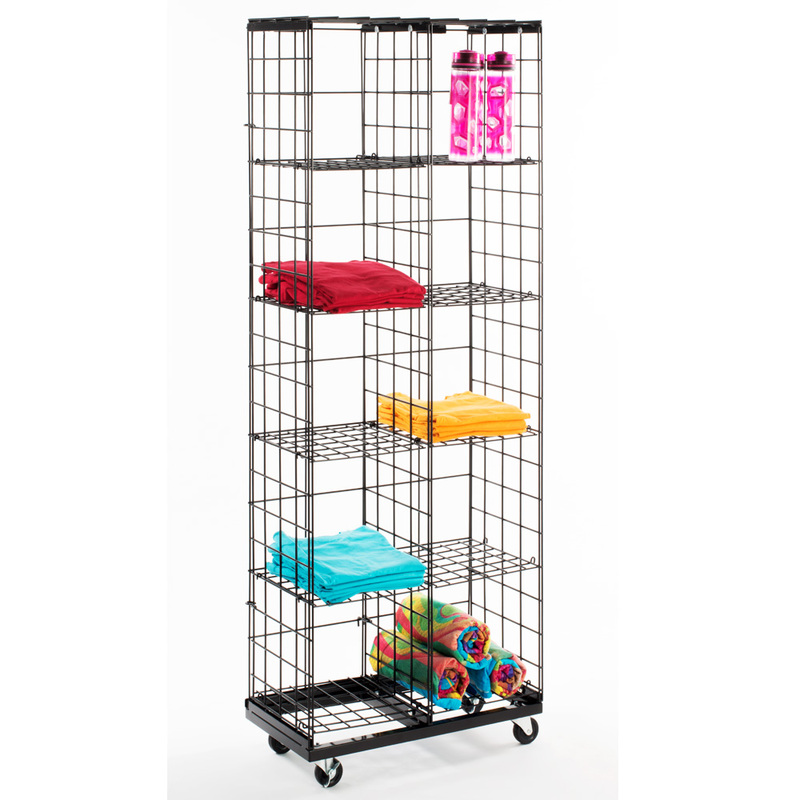 Add an extra shelf #2735S for only $2.99. Add a grid T Shirt frame (item 1242BKG) to display shirts on the sides, or add peg hooks or grid baskets to merchandise more! Add a sign holder (item 6976) to get your customers` attention. View all the Grid Accessories here. Click here to view our YouTube video for easy assembly. For more offerings, we ask you to spend some time to look at our thorough range of retail clothing racks for sale at Specialty Store Services now.